LIMITED OFFER - 10% OFF! See below for details. LIMITED OFFER - 10% OFF! Like us on Facebook and receive 10% off! See below for details. TechSolvers are located in Sutherland, the heart of the Sutherland Shire. Our aim is to provide Sutherland Shire based residential and small / medium business customers with an unparalleled quality of Technical Support for a cost effective price. Our Primary Service Area covers residential and business customers based in the Sutherland Shire and neighbouring suburbs within approx 10km of Sutherland. No matter whether you are in Caringbah, Kurnell, Waterfall or Cronulla, there is no call out charge for customers within the Primary Service Area. A surcharge of $15 applies for customers in our Extended Service Area. The Extended Service Area surcharge is waived for services of 2 hours or greater. 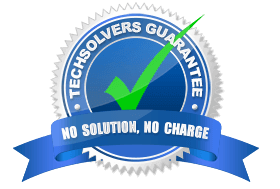 A minimum charge of 2 hours will apply unless booking a remote support session. An Other Service Area surcharge of $30 applies for customers outside of our Primary and Extended Service Areas. The Other Service Area surcharge is waived for services of 3 hours or greater. Please call us on 02 8502 8954 if you are outside of both our Primary and Extended Service Areas. If you are unsure which Service Area you fall under, please feel free to call us on 02 8502 8954 or contact us via our contact form.